Brush is moved and stacked at the Goshen Environmental Center on C.R. 19 Tuesday. 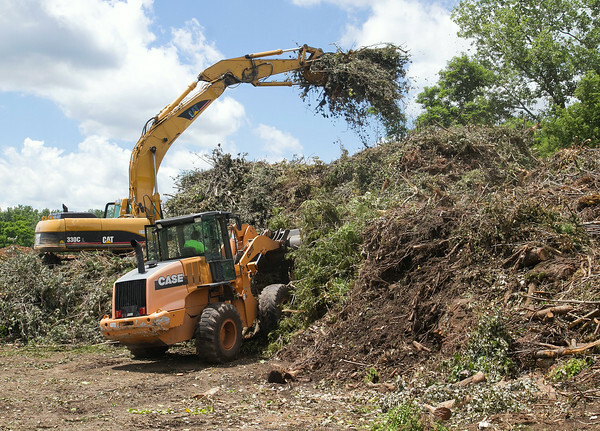 The pile has nearly doubled in size over the last week with brush from the storms being moved out to the center.